AAA Home Inspection Service, Inc.
Our goal is to connect people with the best local experts. We scored home inspectors on more than 25 variables across five categories, and analysed the results to give you a hand-picked list of the best home inspectors in Mesa, AZ. AAA Home Inspection Service, Inc. is a Mesa home inspection business serving the Southeast Valley since 1993. Inspectors are state and ASHI certified, providing inspection reports that cover all observed conditions, both good and deficient. Optional additional inspections include pool, spa, older home, casita, and manufactured homes, with termite inspection arranged through Tri State Pest Management. AAA Home Inspection Service carries E&O insurance. The owner and master inspector of AccuPro Inspection Services, serving Mesa and surrounding communities, has more than 35 years of experience in Southwest construction and familiarity with regional building conditions. The company includes inspectors certified to perform FHA/HUD and ADA inspections, energy audits, and mold sampling. Available inspections include home buyer, seller, warranty, and pool. AccuPro Inspection Services is E&O insured and a member of ASHI, ICC, and SEVRAR. AJF Engineering & Inspections is a Scottsdale home inspection business serving Mesa and Valley of the Sun communities since 1996. The staff includes licensed home inspectors, team members with engineering and pest management licenses, a 203K HUD consultant, and several military veterans. The company holds memberships in ASHI, SEVRAR, BBB, and the Phoenix chapter of the Green Chamber of Commerce. Inspectors conduct buyer, seller, and warranty inspections and energy audits. Alati’s Inspection Service, LLC is a Mesa home inspection company led by a multi-specialized inspector with a background in construction. All staff inspectors are state and ASHI certified, and trained to identify needs for repair and maintenance while focusing on safety. Alati’s Inspection Service provides standard buyer and seller home inspections and certified specialized inspections including environmental, mold, HUD/FHA compliant, manufactured home, foundation, pool, new construction, and maintenance. American Property Inspections in Tempe is the home inspection business of an InterNACHI Master Inspector, who has served Mesa and Arizona Valley customers for more than 30 years. Available services include home, condo, commercial, industrial, new construction, warranty, lawn sprinkler, pool, spa, and termite inspections. A typical buyer’s inspection focuses on the home’s structure, mechanical systems, appliances, fire, safety, and all observable components. Senior citizens may be eligible for discounts. Licensed home inspectors working with Arizona Home Inspections & Consulting (AHIC) have more than 25 years of construction experience in the Valley, serving Mesa, Scottsdale, and the Phoenix Metropolitan region. The business is a certified member of ASHI and InterNACHI, insured for E&O, and BBB accredited. Services available in addition to standard home inspections include termite inspection, coordinated with a third party, detached structures, older homes, pool and spa, and reinspection. Arizona Home Watch LLC is a woman owned business serving Fountain Hills, Phoenix, and Mesa area part-time residents, vacation home owners, and real estate investors. The owner-operators have backgrounds in pest management and landscaping and began their business in 2007, providing periodic checks on vacant homes. Services include full interior and exterior inspections and reports focusing on home security, water issues and any damage. ASCI, or American Construction Specialists & Investigations LLC, is a team of Mesa area, licensed, and ASHI certified home inspectors. The owner and lead inspector has held leadership positions in the national and Arizona ASHi organizations and serves as a home inspection instructor. Available services include thermal imaging, performance testing, and standard pre-purchase home inspections. Inspectors conduct simple repairs for free during the inspection. Technicians with Mesa area Atlas Home Inspections LLC conduct whole home and specialized inspections following national home inspection ethics. Available services include buyer, seller, new construction, warranty, and investor property inspections, as well as mold, termite, well water, septic, lead, and radon. Inspectors observe a home’s internal and external systems and components such as walls, driveway, roof, foundation, appliances, and floors. Reports include major and minor deficiencies and safety concerns. Members of the home inspection team at AZ Premier Inspection LLC are certified to provide standard and specialty buyer inspections in Mesa and surrounding communities. The owner has more than 30 years of experience as a Licensed, Bonded, Insured General Contractor in Arizona. Inspectors hold InterNACHI certification in energy auditing, mold, mobile home, stucco, and green building inspection. Available inspections include buyer, seller, HUD 203K consulting, and commercial. The business is E&O insured and a member of the Southeast Valley and National Associations of Realtors. Copperstate Inspections LLC in Gilbert has been providing home and termite inspections in the Mesa area since 2002. An ASHI certified, state licensed, bonded, and insured home inspector provides standard whole house or specialized inspections, including manufactured homes, construction phase, pools, and multi-unit properties. Inspectors review reports with customers and are available for follow-up questions. Cub’s Home Inspection is a Phoenix home inspection company serving Mesa and most other Arizona communities. Employees conduct buyer and seller home inspections to ASHI standards, explaining observed property issues to customers, with emphasis on bigger concerns. 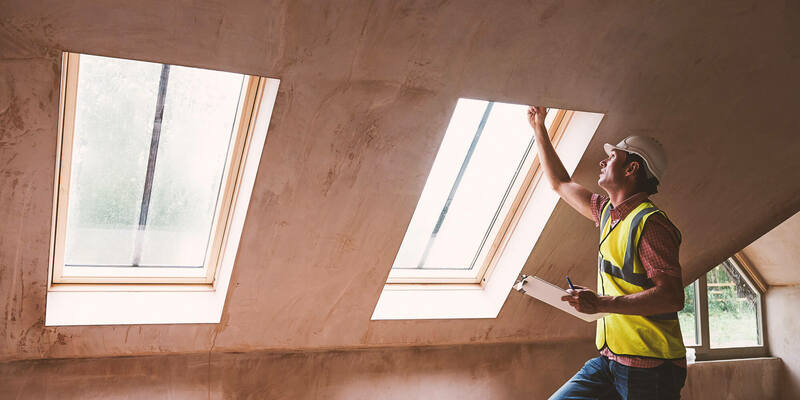 Standard inspections take about three hours and cover a home’s structure, systems, roofing, and all observable interior and exterior components. Pricing details are online. Inspec 10 Home Inspection is a Mesa area team of home inspectors with professional backgrounds in custom home building, plumbing, flooring, electrical contracting, and real estate. The business has provided home inspections for more than 15 years. Team members are licensed, bonded, insured, and ASHI certified. Afghanistan and Iraq war veterans may be eligible for free standard home inspections, and the company will meet or better competitor prices. Owen & Associates, LLC is a home inspection business that focuses on service in Mesa, Gilbert, and the East Valley. The owner-inspector uses current technology such as moisture meters, arc fault testers, and infrared scanning to inspect and report on existing and potential defects. Owen is state licensed, NACHI certified, a member of the Southeast Valley Regional Association of Realtors, and insured for E&O. Older home inspections do not cost extra. The state licensed, ASHI certified owner-operator of PrimeSpec Consulting LLC has inspected homes in the East Valley, including Mesa, for close to ten years. A professional background in architectural engineering, design, and building houses provides knowledge for observing and reporting on problems with a home’s roof, interior structure, foundation, plumbing, and any other major system or component. Services include buyer and seller, condo and pool, and arranged third party termite inspections. The owner and lead inspector of Right Approach Home Inspection, serving Mesa and Greater Phoenix, brings a background in aviation and home remodeling to his understanding of the mechanical systems of homes. The ASHI certified small business is eco-friendly, providing electronic reports and using current methods and tools to inspect foundations, structures, systems, and components. Pools are included in a standard home inspection. Termite and mold inspections are available. Scottsdale Desert Inspections (SDI) is a home inspection business serving Mesa and Greater Phoenix since 2002. The owner-inspector is a licensed realtor and home inspector who is NACHI and ASHI certified and a member of EthicalInspectors.com. SDI provides buyer, seller, commercial, home maintenance, and warranty inspections. The owner-inspector of Sonoran Property Inspections LLC in Scottsdale has more than 30 years of experience building and inspecting homes in Mesa and Paradise Valley. The AHIT and Sonoran Desert Insitute graduate, ASHI certified, and licensed inspector is a member of Local First Arizona and familiar with environmental conditions unique to Arizona properties. Inspections available, seven days a week, include standard buyer’s, warranty, and scheduled vacation home inspections. The state licensed home inspector and owner of Spotlight Home Inspection in Scottsdale is available seven days a week for Mesa area appointments. His professional background is in construction and degree is in Building Safety and Architectural Technology. Spotlight Home Inspection carries E&O insurance and holds memberships in InterNACHI, NACBI, and the Southeast Valley Regional Association of Realtors. Staff can arrange a termite inspection for customers. The founder-inspector of Stellar Inspection & Consulting Services LLC brings a background in nonprofit property development to his Mesa area home inspections. The business launched in 2011 and provides general home inspections and HUD/FHA 203K consulting. Inspectors are ASHI and state certified, and available for weekend, day, and evening appointments. Additional services include pool and older home inspections, with third party termite inspections available.